Oriental Hotel spearheaded the 6-days intensive training schedule of the 2nd Immersion Program. Participating companies from the billion-dollar technology industry included Oracle Africa, IBM Nigeria, and HP Nigeria. Bright-eyed and ambitious participants stood in line at the break of day to sit in a lecture hall that was decorated with chandeliers and luxurious marble floors with draped white linen seating arrangements. All strategically organized by SV-NED Inc. to enlighten, uplift and inspire the next Mark Zuckerberg, Steve Jobs, Jeff Bezos or Larry Page in their midst. The 2nd Immersion Program participants were welcomed by the Founder and CEO, Chief Temitope Ajayi aka Mama Diaspora, Professor Emeritus of Stanford University Dr. Sam Haddad, Founder of SV-Links and Angel Investor in Silicon Valley Miguel Casillas, and Advance Cyber Security Solution-Strategist and Executive of MPSPG, Sam Washington. The Immersion program lasted 6 full days from 9 am to 7 pm every day. Each day had a different agenda and conceptual topic designed to stimulate the right conversations about self-sustainable products and services that can be homegrown out of the country of Nigeria, inspiring the minds of 100 participating guests to become entrepreneurs and future job creators. The guest ranged from 13 years to 45 years of age, each with their own independent ideas of how to take the Nigerian economy into an emerging market that will chip away at the astounding 18.8% unemployment rate. The idea that Nigeria is considered a developing country is an understatement. Ideas are being born every day, the ease of technology and industry knowledge entering the country is moving at an accelerated pace. Participants of the immersion program had the opportunity to visit three technology giants, who led training to expose these young talents on the next frontier of technology. Oracle Africa led the charge in the discussion, connecting the past to the present, and covering topics such as Blockchain, Internet of Things, and Artificial Intelligence. 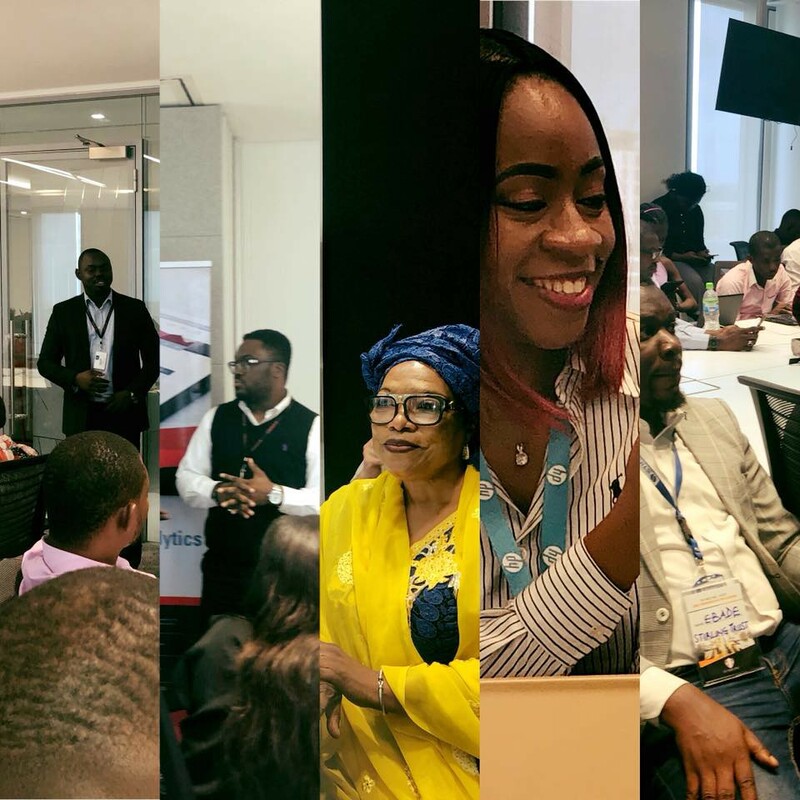 One after the other, small workgroups in the lectures took the stage in front of prominent representatives from Silicon Valley, to pitch ideas that could further brighten the future of business in Nigeria. The evening concluding with a heartfelt moment when a team of physically, visually, auditory challenged participants took the stage to give a presentation that gave insights into the challenges experienced by people with a disability who are looking for opportunities for employment and some form of normalcy in a developing country were resources are desperate and unequally distributed. One of the most heartfelt moments was observed when participants with disabilities ranging from hearing, vision, and mobility took the stage to pitch an application that will enable those with disabilities to utilize their capabilities in a manner that allows them to integrate into the workforce successfully. Final Day 6, participants received a once in a lifetime experience to take their Immersion Program examination at the GTI House. GTI Capital Limited provides stock broking services. It offers stock market trading, public issue, margin trade, and collateralized credit services. The company also provides investment portfolio management services, such as discretionary, advisory services, and participatory portfolio management; and investment advisory services. In addition, it offers corporate finance services, including pension fund and asset management, and management consultancy services; and banking operation services, which include treasury bills and the central bank of Nigeria certificates. The company is based in Lagos, Nigeria. GTI Capital Limited operates as a subsidiary of GTI Group.